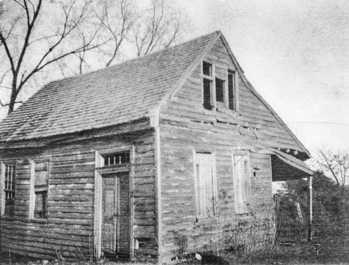 Halifax, located in Halifax County, was in colonial times an important political, social, and commercial center in northeastern North Carolina. The town of Halifax was chartered by the General Assembly in 1757 and became the county seat of Halifax County (formed out of Edgecombe County) in 1758. Settlers had come to the surrounding area even earlier, drawn by river transportation and the nearness to trade in Virginia. With the 1757 legislative act, directors and trustees were ordered to design and plan a town on 100 acres of land owned by James Leslie on the south side of the Roanoke River. In 1769 Claude Joseph Sauthier, cartographer for King George III, drew a map of Halifax that has been invaluable in establishing the location of early residences and public buildings. The town was named to honor the earl of Halifax, and its streets were named for British leaders and the patron saints of the British Isles. In June 1758 a public sale of town lots was held, with 49 buyers purchasing almost all of them. Halifax grew rapidly until the American Revolution, serving as a trade center for overland and river transportation. As a political and economic center, Halifax also saw an increase in social activities such as elegant dinners and balls and horseracing. Many wealthy planters from the Roanoke Valley established themselves as leaders in the colony's politics. In 1776, during the American Revolution, Halifax hosted two meetings of the colony's Provincial Congress. During the Fourth Provincial Congress held in Halifax, a resolution now known as the Halifax Resolves was adopted. The resolution, adopted on 12 Apr. 1776, was the first official call for independence by any colony. It was fitting that North Carolina's first public reading of the Declaration of Independence later occurred in Halifax, and today the North Carolina flag bears the date of the Halifax Resolves. Throughout the war, Halifax served as a military depot and recruiting center for patriot troops. Except for brief occupation by Lord Charles Cornwallis's troops on their march to Virginia, the town saw little action. After independence was won, the Fifth Provincial Congress met in Halifax, adopting the state's first constitution and appointing Richard Caswell as the first governor. Following the Revolutionary War, Halifax gradually declined as a center of political activity, and its viability as a commercial center waned in the nineteenth century, with the advent of railroads and other improved methods of transportation. Although it continues to be the county seat, with fewer than 400 people living within its corporate limits, modern-day Halifax has a culture and economy that largely revolve around its historic district, now a North Carolina State Historic Site. Historic Halifax State Historic Site is on U.S. 301, accessible from Interstate 95. A visitors center offers an orientation program and a museum. Conducted scheduled tours of homes and public buildings dating from 1750 to 1835 originate at the center, which also has an herb garden and a formal garden for viewing. In 1970 Historic Halifax became the first National Register Historic District in North Carolina. The 12 April anniversary of the Halifax Resolves is appropriately observed each year, and for a few weeks in the summer an independent company produces an outdoor drama, First for Freedom, chronicling the events leading to the signing of the resolves. Marion P. Sykes, "Profile of Colonial Halifax County, North Carolina" (M.A. thesis, East Carolina University, 1964).